State environmental agency’s indifference and intransigence violated public trust. 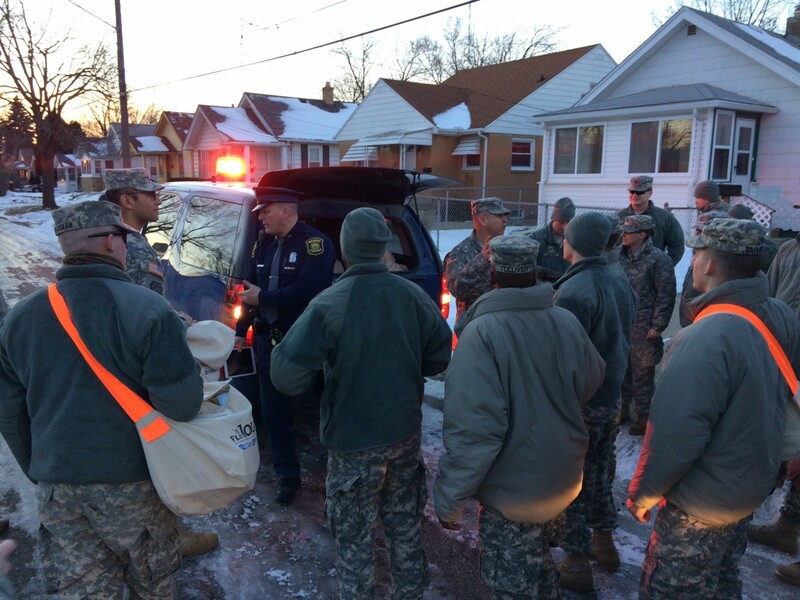 Members of the Michigan National Guard were dispatched to Flint this month to deliver water, filters, replacement cartridges and water test kits to residents affected by lead-contaminated drinking water. Click image to enlarge. Amid calls for his resignation, Michigan’s Republican Governor Rick Snyder issued repeated apologies this month for his administration’s role in transforming a plan to save money into one of the most dangerous drinking water emergencies in American history. Yet even as the governor defends himself in the rising political heat of the Flint water crisis, a management fire rages at the Michigan Department of Environmental Quality, the state agency charged with overseeing municipal water quality and safety. Since 1920, the United States has tracked instances of waterborne disease outbreaks in every state. In 1993, in the worst U.S. public drinking water supply emergency, 403,000 people were sickened and 54 people died following an outbreak of Cryptosporidium in Milwaukee’s water supply, according to the U.S. Centers for Disease Control. The source of the protozoan organism, which causes severe gastrointestinal distress, was never conclusively identified. A scientific consensus emerged that the contaminants were carried on melting Lake Michigan ice and livestock manure that flowed into a Milwaukee drinking water treatment plant. No other instance since 1993 of a waterborne threat from a public drinking water system in the United States is as serious as what is occurring in Flint. The extent of lead contamination and its long-term consequences for Flint citizens, especially for children, are not known. The contrast between the emergencies in Milwaukee and in Flint is striking. In Milwaukee, the disease-bearing organism slipped into the city’s water and was not recognized until hospitals, schools, employers, and pharmacies reported an unusual number of diarrhea cases. City officials reacted with a “boil water” alert, and changes in water quality monitoring and upstream management. In Flint, the emergency was entirely the result of a collapse in government oversight. According to various documents and transcripts that have become public, Snyder administration officials at the state Department of Environmental Quality, working with an emergency manager appointed by the governor, were intent on executing a plan to save money by switching the source of the city’s water from the Detroit water system to a new pipeline being built from Lake Huron, using the Flint River as an interim source. Those same documents describe how DEQ executives and program managers at first ignored complaints about the quality of the new water supply, and then became indignant and defensive when they interpreted rising citizen cries for help as political attacks on the governor. A failure to implement corrosion control measures after Flint switched its water supply source to the Flint River in 2014 caused service lines to corrode and leach lead into the city’s water. In a scathing letter sent to the governor on December 29, the Flint Water Advisory Task Force, a state panel charged with investigating how Flint’s water was poisoned, placed the blame squarely on the shoulders of the MDEQ. The agency, said the panel, failed utterly to execute its responsibilities to ensure public safety. In perhaps the most significant lapse, the DEQ did not require corrosion control measures when Flint switched its water source from the Detroit water system to the local Flint River in 2014, a decision that caused aging iron and lead water service lines to corrode and leach unsafe levels of lead into the city’s drinking water. The root of the problem, however, extends far beyond one faulty decision, according to the task force. The panel took issue with the pervading indifferent culture at MDEQ, the agency’s dismissive dealings with citizens, and its response to accusations that the agency did not properly interpret federal regulations regarding corrosion control. The agency repeatedly ignored citizen concerns over water and tried to discredit water tests by researchers at Virginia Tech University that detected elevated lead levels. Evidence uncovered through Freedom of Information requests also suggested that the MDEQ stashed away test results that showed high levels of lead in Flint’s water as early as last summer. MDEQ maintained that the tests it discarded did not comply with protocols. “ODWMA must adopt a posture that is driven not by this minimalist technical compliance approach, but rather by one that is founded on what needs to be done to assure drinking water safety,” it continued. 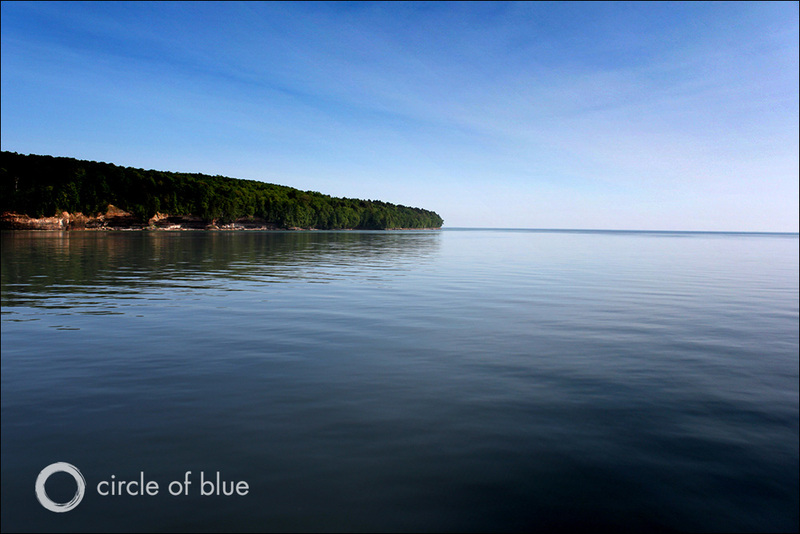 The Great Lakes are the world’s largest source of surface fresh water. Michigan has coastline along four of the five lakes. The day the task force letter was released, the agency’s director, Dan Wyant, resigned. Efforts by Circle of Blue to reach MDEQ officials were not successful. 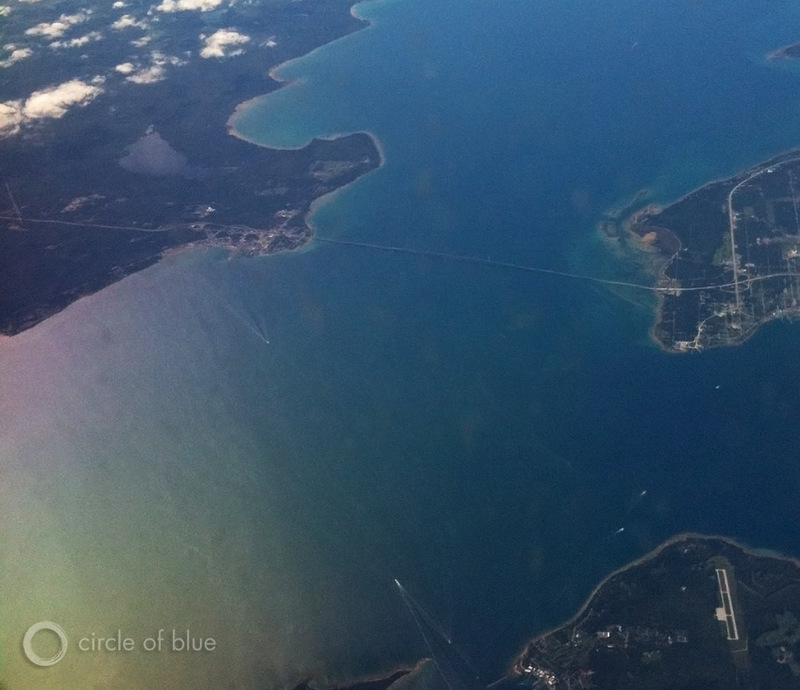 Michigan’s reputation as a citadel of clean water is under attack as never before. Arguably the two worst incidents of water contamination in the United States in the 21st century have occurred in Michigan. Before the Flint water emergency, the largest inland oil spill in U.S. history occurred in 2010 when an oil pipeline ruptured in southern Michigan and poured nearly 1 million gallons of toxic tar sands oil into the Kalamazoo River. The state’s “Pure Michigan” branding campaign, launched by former Democratic Governor Jennifer Granholm, and the source of a significant boost to the state recreation and tourism industry, has become the subject of national jokes and appears in jeopardy. The patterns of disregard outlined by the task force letter are no surprise to environmental advocates across the state. On issues from farm runoff that pollutes rivers and streams to the siting of industrial plants, the MDEQ has been slow to respond to concerns and ambiguous in its efforts to protect the environment and public health, they say. Holtz cited a case in 2014 when the Sierra Club and a coalition of other citizen groups challenged an air permit the DEQ granted to a steel mill in Dearborn, Michigan. The agency initially voiced concerns about the permit, which would allow the plant to emit higher amounts of air pollutants in an area that already suffered from the worst air quality in the state. The permit was approved after the company sought the help of the Michigan Economic Development Corporation, a state public-private partnership that promotes business and tourism, according to an investigation by the Detroit Free Press. The MEDC maintained that it did not lobby on the steel mill’s behalf, but merely facilitated communication between the steel company and the MDEQ. Michigan has some of the most extensive natural resources in the country, but a 2007 study found that Michigan ranked 47th out of the 48 contiguous U.S. states in per capita spending on conservation. Click image to enlarge. “That is the kind of pattern and practice that we’ve seen over the past four or five years that underlies what happened in Flint and underlies virtually every decision they make when it comes to protecting public health, clean water, and air quality,” Holtz said. Pam Taylor, a member of the Environmentally Concerned Citizens of South Central Michigan, said her organization has regularly met resistance from the MDEQ when trying to bring attention to manure runoff from large livestock farms, called CAFOs. After documenting manure spreading practices that are legal according to CAFO permits, but that ECCSCM believes are contributing to high levels of phosphorus and other pollutants in nearby rivers and lakes, an MDEQ spokesperson dismissed the organization as “troublemakers”, Taylor said. That language mimics the statements by MDEQ executives that are contained in email messages made public last week by Governor Snyder. The chief MDEQ spokesman, Brad Wurfel, also resigned in December. “It was the same tone [as in Flint], I would say,” Taylor told Circle of Blue. While the ECCSCM members often take their own water samples from rivers and lakes to be tested by labs for nutrient pollution and bacteria, they also ask the MDEQ to step in when a waterway seems especially polluted. Since 2000, MDEQ’s staff has been cut by more than a quarter, while the agency’s budget from Michigan’s general fund declined nearly 60 percent over the same time period. Moreover, since its formation in 1995, the MDEQ has accounted for less and less of the state’s general fund budget. In 1996, it received 1.16 percent of general fund appropriations. In 2015, it received 0.41 percent of appropriations. The cuts occurred under both Republican and Democratic administrations. A 2007 study by the Land Policy Institute, a research unit at Michigan State University, that examined state conservation spending across the United States, found that Michigan ranked 47th out of the 48 contiguous U.S. states in per capita spending on conservation. The study also looked at how much each state would be expected to spend on conservation based on the extent of its natural resources and its economic, social, and political circumstances. By that measure, Michigan was under-spending by $US 32 million each year, the study found—the biggest gap of any state in the country. “My personal opinion is that although the people that I deal with on a day to day basis are good employees, I think the agency as a whole is barely functioning,” she added. A task force created by the administration of Michigan Governor Rick Snyder must soon decide how to evaluate alternatives to Line 5, twin oil pipelines that run beneath the Straits of Mackinac, and if the line should continue operation. Click image to enlarge. That conclusion spells trouble for state waters, and Governor Snyder, who faces two more big decisions about water quality and risks to the state’s economy and environment. The first is a decision regarding Line 5, the twin oil pipelines that run below the Straits of Mackinac and are operated by the same company behind the 2010 Kalamazoo River oil spill. A separate state task force last year raised serious concerns about the pipeline’s safety. Researchers have warned that a pipeline rupture in the Straits would be the worst possible place for a spill in the Great Lakes. As part of its mandate to help the state decide if Line 5 should continue to operate, the task force, which includes a representative from MDEQ, will soon determine how to assess alternatives to Line 5. An independent report by the Traverse City-based environmental law policy group, For Love of Water (FLOW), found that Enbridge, Inc., the owner of Line 5, operates an extensive pipeline network around the Great Lakes and that the Straits crossing could be lawfully shut down without harming natural gas customers in Michigan’s Upper Peninsula or refineries in southern Michigan. Governor Snyder has a second decision facing him this year to support or reject a diversion of Lake Michigan water to the city of Waukesha in Wisconsin. Waukesha lies outside of the Great Lakes basin, meaning the diversion would require an exemption from a 2008 compact to protect Great Lakes water supply agreed to by eight Great Lakes states and Canada. Critics worry that allowing the diversion would set a precedent for more communities outside of the Great Lakes basin to take Great Lakes water. The governors of each state are currently reviewing Waukesha’s application, and are expected to issue a decision in April. There is much at stake for Michigan’s governor, the public trust, and the state’s well- being, said James Clift, the policy director at the Michigan Environmental Council, an alliance of state groups based in Lansing, Michigan’s capital.